In an innovative effort, Colorado electric co-op San Miguel Power Association in Ridgway was called on to help brighten and increase efficiency at the Norwood fire station in southwestern Colorado. 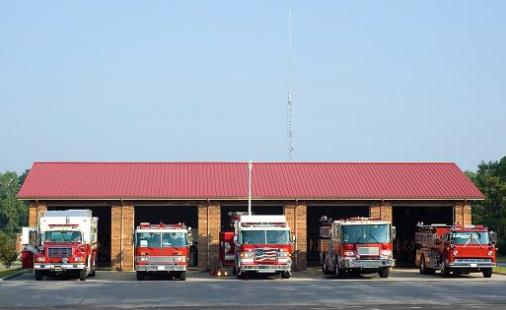 Fire chief Joe Conway took advantage of the expertise and rebates offered by SMPA, his local electric co-op, to upgrade the lighting of three truck bays, several personnel offices and a meeting/training room which is also used by the community. These spaces were formerly outfitted with 40-year old lighting technology, but thanks to the help of the co-op and volunteers, the lighting redesign will be more efficient for the fire station, benefitting both the personnel and the community that uses the space. The lighting project will reduce the energy requirement by 15,000 kilowatt-hours a year and reduce the station’s annual bill by approximately $2,000. This upgraded investment will pay back in less than one year with the SMPA rebate. SMPA works directly with both commercial and residential members to take advantage of their rebate programs.